Now that the holiday shopping season is done with for the year (not including exchanges, returns and things of that ilk), Amazon has taken out its mainframe abacus and computed that 60% of its holiday sales this year came from a mobile device. That is up slightly from last year when more than half of Amazon's holiday shopping came from a smartphone or tablet. Black Friday was the shopping date where mobile shopping showed the largest growth for Amazon this year. The online retailer's app for smartphone platforms increased its shopping revenue by 100% this year. That could indicate that smartphone users are getting more comfortable using their handset to conduct business. It would also reveal a willingness on the part of mobile users to shop using an app as opposed to a website. Amazon revealed that the most popular tablets it sold this holiday season were the Amazon Kindle Fire HD 7, Amazon Kindle Fire HD 6 and the Amazon Kindle Fire HDX 7. 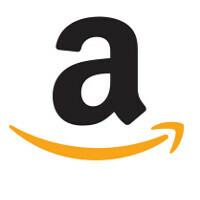 As far as watches were concerned, did any smartwatch make Amazon's list of the top timepieces it sold for the holidays? Uh, no. The best selling watch sold by Amazon this holiday season was the Disney Kids' Frozen Anna and Elsa Digital Watch. Well I bought a videogame yesterday from my phone from them. It should be arriving tomorrow. It was pretty easy. It was my first time buying it from a phone, and I will definitely do it again. I it hard to believe that 60% of Amazon sales were a phone or tablet. So 6 out of 10 purchases were these two products? Maybe 60% of its profit came from these items? That might be more likely. I believe there is a small misunderstanding on your part. What was said in the article is that 60% of purchases on Amazon were made from a smartphone or tablet, as opposed to from a computer. Indeed, the title can be easily misinterpreted with the way it was worded. Fortunately, the actual contents of the article are sufficient to clear up any confusion. I'm not saying I am the majority, but while the fiancee and her family were out black Friday shopping I used my phone to get her gifts and the rest of the stuff I bought. Imo, it made the process easier. I bought a bunch of stuff from my phone. Its really easy when its got your card, you've got Prime, and you one click that mofo. Wow... Imagine what it could have been with a decent mobile app!